Item # 309920 Stash Points: 2,695 (?) This is the number of points you get in The Zumiez Stash for purchasing this item. Stash points are redeemable for exclusive rewards only available to Zumiez Stash members. To redeem your points check out the rewards catalog on thestash.zumiez.com. 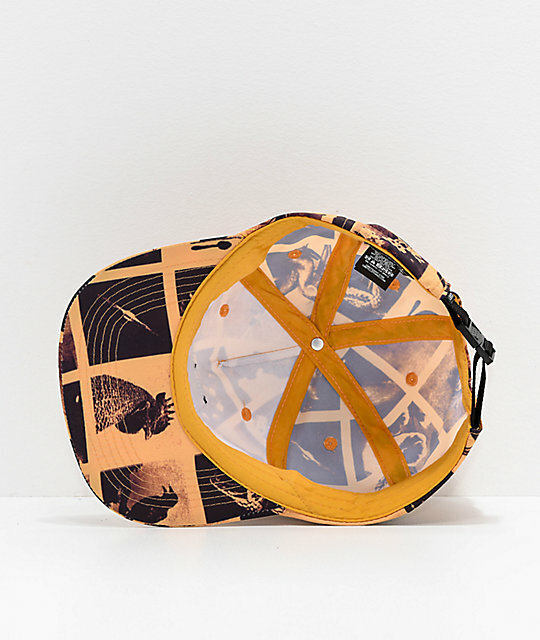 Grab another unique look from Obey with the Sherman Strapback Hat. Featuring a light brown and black sublimated design with various images throughout, and a PU Obey logo badge at the front crown, this stylish accessory is a must-have. 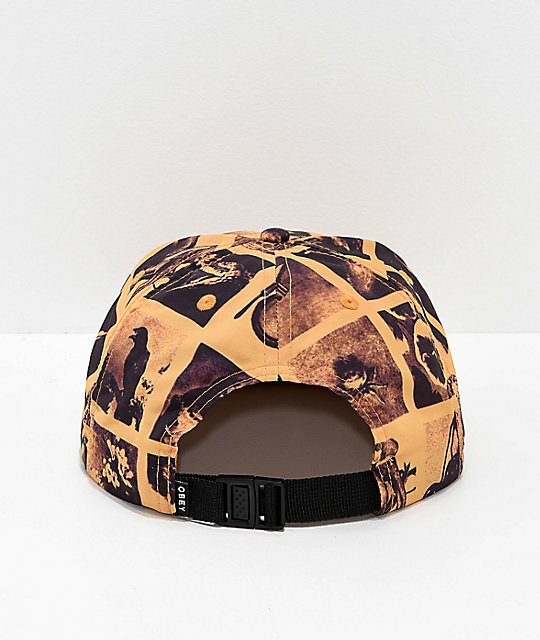 Sherman Strapback Hat from Obey. PU logo patch on the front crown. Embroidered eyelets on each side.